Royal Enfield will soon be launching the updated model of its best selling motorcycle Classic 350 in the Indian two-wheeler market. Besides this, its elder sibling Classic 500 will also be receiving some significant changes in comparison to the existing version. These are expected to be launched in India sometime early next year. 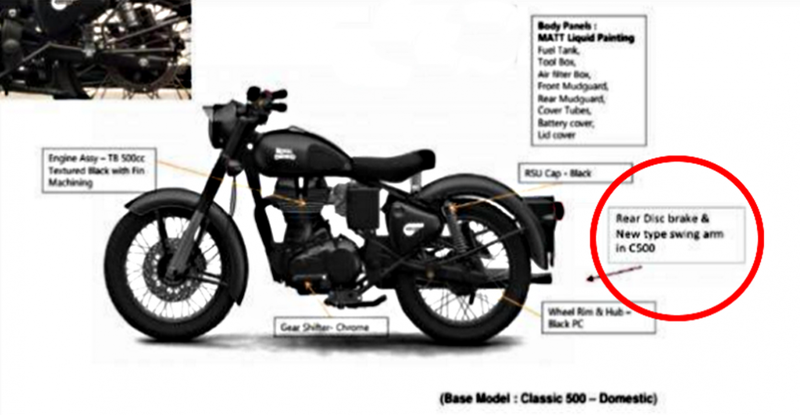 To start with, the Chennai-based manufacturer will introduce the Classic 350 with new paint scheme that will go by the name Gunmetal Grey. This information got revealed after a document holding the details of the new models were up on the internet. In addition to the new colour, the thumper will also come equipped with a rear disc brake. ABS (Anti-Lock Braking System) is also likely to be on offer as all two-wheelers having an engine displacement of 125cc and above need to come with the said safety equipment starting April 2018. 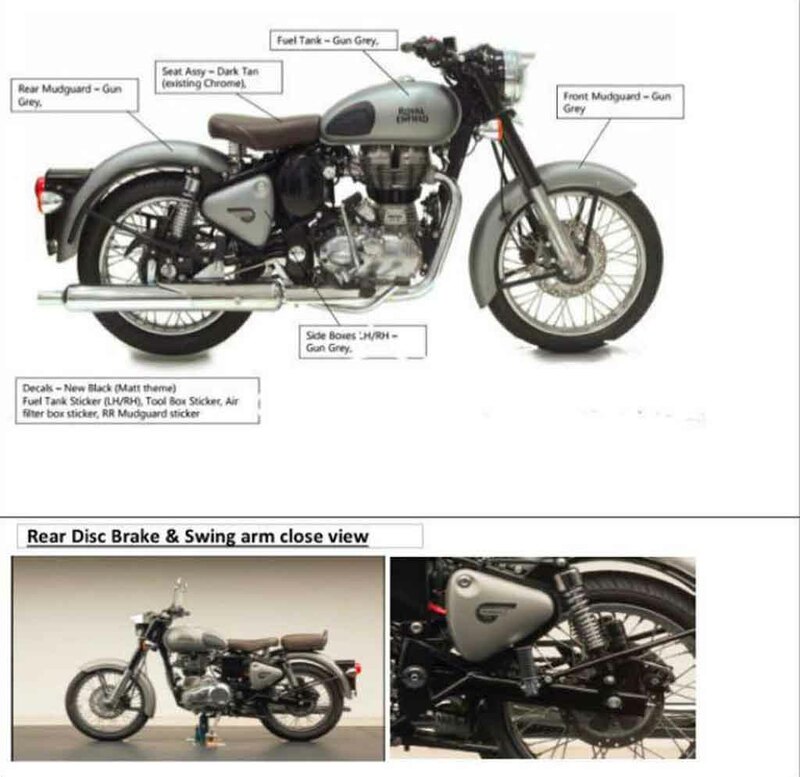 Furthermore, the new Royal Enfield Classic 350 will also come bolted with a new swingarm that has been borrowed from the Thunderbird line up. Needless to say, the revised rear will help in gaining better stability and offers scope for fitting the disc brake that was not possible with the earlier set up. Now coming to the bigger-spec Classic 500, this motorcycle shall too, receive a new stealth black colour. The bike will also be getting the rear disc brake and the same Thunderbird swingarm just like its younger 350 cc sibling. ABS (Anti-Lock Braking System) is also expected to be on offer in this case as well. In other news, Royal Enfield has just launched the BS-IV version of its popular adventure tourer Himalayan in the Indian two-wheeler market. The company had discontinued this motorcycle earlier as the next stage model was awaited. However, if reports are to be believed, the company had been working on fixing the issues of the motorcycle that arose right since its launch. There have been multiple reports on the web that reveal how the owners of the Himalayan landed in trouble due to the substandard build quality of the motorcycle.